Since September 2010, Klewel is starting to beta-test its new product consisting of a multimedia capture station linked with a web portal to enable anyone to publish events such as conferences and lectures. DistalMotionproduces and commercializes a new surgical device that enables the performance of minimally invasive procedures in the abdominal cavity. It merges the advantages of single port surgery (single incision, navigation inside the body) with the advantages of robotic surgery (higher degrees of freedom, increased intuitiveness) and conventional laparoscopy (force feedback, high payload capacity). This is achieved by the use of a new mechanical design, able to provide sufficient dexterity, precision and payload capacity to actuate micro-manipulators. Aeon Scientific is developing a technology for electromagnetic guidance of microobjects. Our focus is on wireless control of microinstruments within the human body in order to enable new diagnostic and therapeutic methods. Pandora Underwater Equipmentoffers diving devices for automated control of divers’ ascent rate to increase safety. Safety is one of the main important points in scuba diving activities; that is why the most important safety exercise for diver is learning secure ascent. The product (called: SUbb) is focusing on divers safety as SUbb is able to manage divers ascent. It assures divers to avoid a decompression sickness that could cause them serious injuries. ProteoMediX enables personalized medicine by developing non-invasive diagnostic tests to detect and assess the prognosis of cancer, as well as to match patients with safer and more effective therapies. Based on innovative electronic modules that communicate on the electrical powerline, eSMART is a complete Smart Home management system. It transforms any existing house in a broad Smart house without the need of breaking the wall. Unique for its realibility, ease of installation and functionnalities, eSMART increases the security and confort in an house while helping to reduce its electrical consumption, thanks to its numerous user-friendly interfaces. Your house will be easily manageable from a Touch-screen, your Smart-Phone through Wifi or GSM connexion or simply with classical switches. GlobalVision Communication Ltd (globalvision) is a communication agency specialized in the fields of multimedia communication and 360° imagery. The GEROCO product ECOWIZZ helps people to visualize and act on their home energy consumption thanks to an easy to use web interface able to manage smart electrical plugs connected to home appliances. AppAware is a mobile application that shares online installations, updates and removals of Android applications. In this way a user becomes aware (App-Aware) of what other people are installing on their Android phones right now or in his/her proximity. Marmota offers high-tech fiber optic geotechnical monitoring solutions. With an unprecedented amount of data at an affordable price, ground movements can be detected at an early stage and thus, risks for large infrastructure projects are minimized. Connex.io provides its users with the best possible address book created automatically from the data the user already possesses on phones, through email accounts, and in social networks. Optical Additives offers a new technology to convert any surface into a solar cell. Credentis mission is to develop and commercialize a novel enamel/dentin remineralisation system which will revolutionize the treatment of small caries lesions and related illnesses and needs, providing dentists with an efficient tool in tooth remineralisation and helping patients to protect and regenerate their teeth. Koemei provides the world’s first cloud based speech recognition solution specifically designed for multiparty conversations. Winterthur Instruments GmbH develops measurement systems for fast non-contact and non-destructive testing of industrial coatings. This measurement systems can be used to determine coating thicknesses, material parameters (e.g. porosity) and contact quality (e.g. to detect delamination). The system is based on optical-thermal measurements and works with all types of coating and substrate materials. Our measurement systems provides the unique opportunity of non-contact and non-destructive testing of arbitrary coatings on substrates. QGel’s purpose is to develop and commercialize biotechnology products of therapeutic relevance to improve methods for research and diagnostics in the field of life science. The steadily growing number of old and handicapped people and their related costs will be one among other challenges of this and the future generations. COMPLIANT SYSTEM offers a new solution for the therapy and prevention of pressure ulcers that enables to improve the quality of the treatment and save costs at the same time. PolyPort is an inexpensive and crowd-sourced alternative to existing logistics services which utilizes existing travel movements more efficiently and in a sustainable manner. Malcisbo is an ETHZ spin off company and develops novel, carbohydrate-based vaccines. THELKIN develops and market sophisticated equipment and services for the mechanical characterization of orthopaedic implants and other medical devices. With our specific know-how, we help our customers to meet their testing needs while saving time, costs, and while gaining a scientific competitive advantage for their products at the same time. BizTelligence’s main product TrueSense serves retailers as a realtime marketing intelligence platform to measure and steer shopper flows and stop times to increase revenue on scarce shelf space by managing conversion rate (frequency/sale) and decreasing costs by planning sales staff need according to shopper flow. 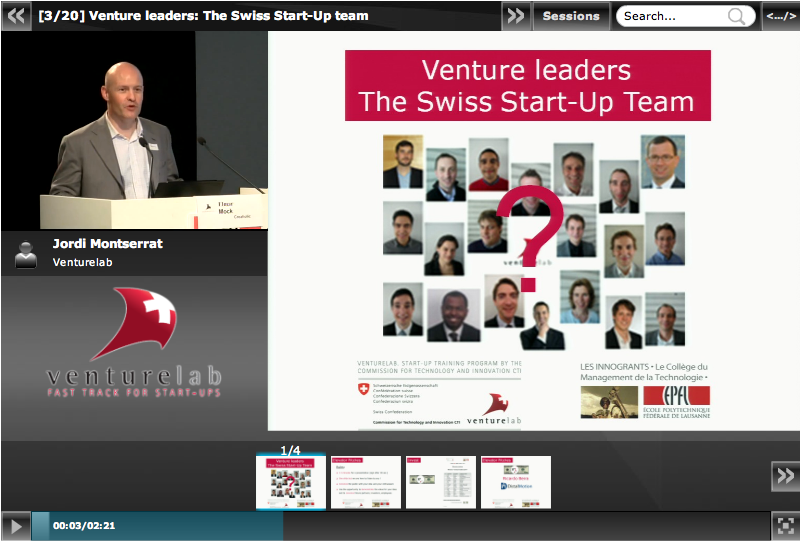 Links: VentureLab, Inno Swiss, Inno Swiss related post.